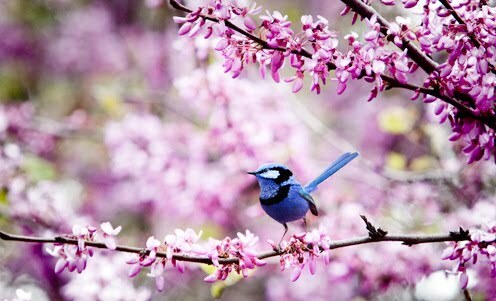 A few days ago I was looking through a Better Home and Gardens magazine and I came across a page on activites to do with your family. 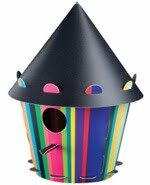 One thing they had pictured were the bird houses from TweetTweetHome. 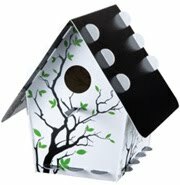 The bird houses are made of 100% recyclable plastic and they are only $10!! And the best part is that they require NO glue, nails, or tape. You order the house you want and receive the pieces and instructions. 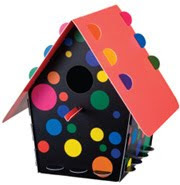 All you have to do is snap the pieces together and you get a cute bird house. They come is such cute colors and patterns. 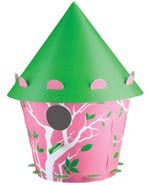 At only $10 this is a great way to welcome Spring, by providing a cute home for some birds.